18k gold custom made bridal set ring consisting of emerald shape, natural diamond, weighing 1.24 carats, having a H color and IF clarity, according to GIA grading scale. The center stone measuring 7.52mm x 4.86mm x 3.47mm and carries a GIA grading report. All surrounding diamonds are genuine with a total carat weight (cttw) of 1.96 carats. Comments: Minor details of polish are not shown. 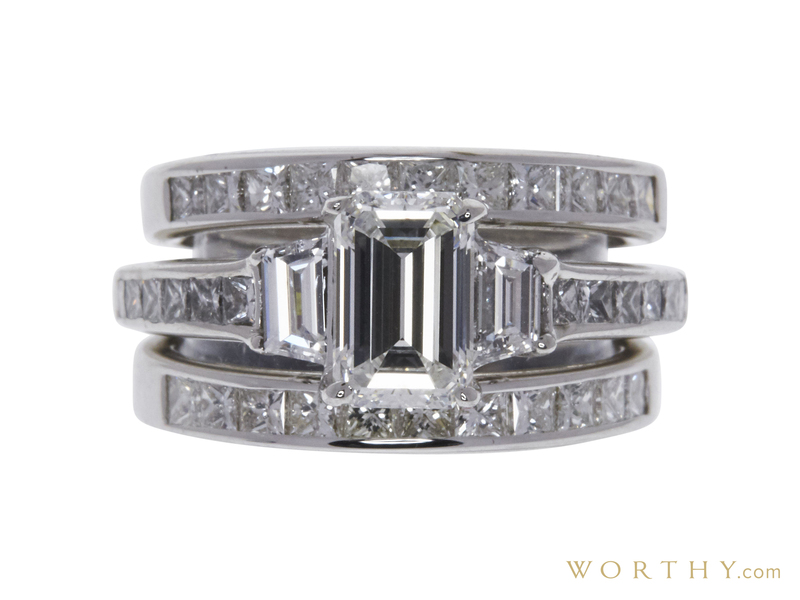 Set includes one 18K white gold diamond engagement ring and one 14K, one 18K white gold diamond matching band.